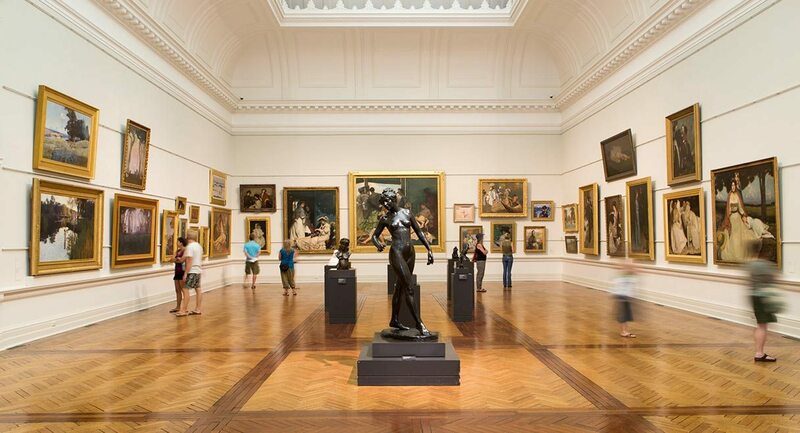 Let your curiosity take over at the Art Gallery of New South Wales. As part of The Big Anxiety associated program, Art in Mind is a mindfulness program that invites you to suspend your preconceptions and be guided by your own visual curiosity. Mindful, slow looking can lead not only to a more satisfying experience with art, but also to a sense of stillness, ease and focus within ourselves. Open to participants from all walks of life, Art in Mind sessions take place before the Gallery’s doors are open in the morning. In this peaceful and private environment, mindfulness teacher and creativity consultant, Steve Pozel will use meditation and mindfulness strategies to engage deeply with one artwork at a time, observing its physical characteristics in a focussed and attentive—but unlaboured—way. It will create an atmosphere conducive to staying ‘in the moment’ and honing the sense of sight.